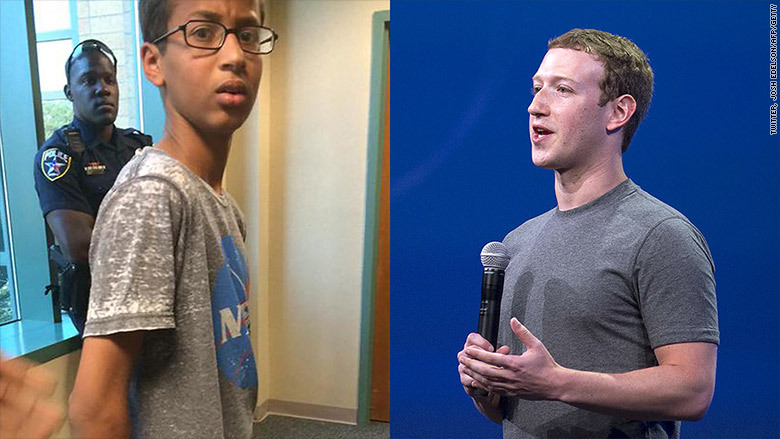 Mark Zuckerberg would love to meet Ahmed Mohamed. The Facebook (FB) CEO extended a special invitation to Mohamed, the 14-year-old Muslim teenager who was arrested at his high school in Irving, Texas for bringing a homemade digital clock to school. Mohamed, a freshman, dreams of being an engineer and brought the digital clock to school to show off how he'd made it out of a pencil case. "Having the skill and ambition to build something cool should lead to applause, not arrest. The future belongs to people like Ahmed," Zuckerberg said in his post. "Ahmed, if you ever want to come by Facebook, I'd love to meet you. Keep building." 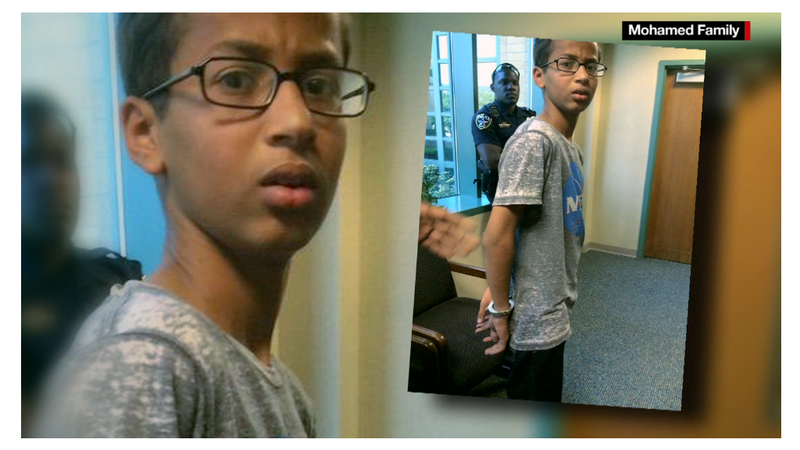 Images of Mohamed's Monday arrest went viral and sparked a social media campaign around the hashtag "#IStandWithAhmed." Among the supporters who took to Twitter to voice their support for Mohamed were celebrities, engineers, journalists, and companies like 3M (MMM), which invited him to visit their science lab. Google Science Fairs also invited him to its science fair this weekend. It tweeted that it would save him a seat and told him "bring your clock!" Even political figures joined the conversation. President Obama extended his own special invitation to have Mohamed show off his "cool clock" at the White House. Arne Duncan, the U.S. Secretary of Education, tweeted out that "we need to be encouraging young engineers, not putting them in handcuffs."